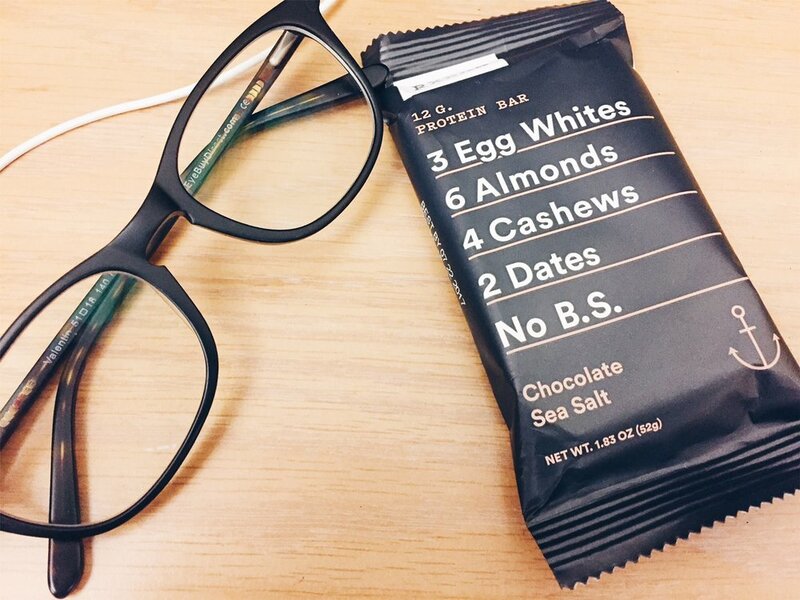 As promised here is my review on the RXBAR! I got a special promo on them through Facebook, where you can get 6 flavors for $3, to introduce you to the brand and flavor. I'm not sure how to find the code again, but I will have a link at the end of this post for $5 off your first purchase! Sea salt caramel - TBH, this was not a good flavor for me. I don't think the caramel taste works with the dates. Personally, this was not the flavor for me. (sadly). Mint chocolate - This is one of my top 2 faves! It was very good! I loved the refreshing taste of the mint and the chocolate. The taste works well with the dates, where as the sea salt caramel just didn't do it for me. Chocolate sea salt - if you don't like mint, you would probably love this one instead. This one is the other flavor in my top 2 faves! (Actually I think this is my first favorite!!!) The chocolate sea salt works great with the dates. The salt flavor is not overwhelming whatsoever. Chocolate coconut: I surprisingly loved this one! I'm not usually a coconut person when it comes to deserts/bars/etc. but I love coconut water, coconut oil - so I'm weird in that way. BUT this was actually Good. The coconut flavor was not overwhelming, and it blended well with the chocolate flavor. Blueberry: this one was good too but I love the ones with chocolate (and chocolate chips) more - I'm a chocolate girl! I was eating this during one of the breaks of my exam. It kept me full throughout, even if I just ate half. This is a good flavor for you if you're not really into the chocolate-y flavors! Peanut butter - so my peanut butter bar went missing (sad face here). I have no idea where I put it haha. I'm sure it tastes good but I can't give an opinion on that since I didn't get to taste it. I do have a granola/cereal that is dark chocolate peanut butter and I hope RX bar makes a flavor like that because it'll be like Reese's pieces! -Lots of flavor options, although I haven't tried them all. I liked 4/6 that was in the sample pack. I'm sure there are other awesome flavors! -Quality/content is amazing. It's super healthy but still Satisfies your sweet tooth if you're craving something sweet. It has dates, almonds, cashew, and 3 egg whites (and no BS haha). Real. Whole. Foods. I love that I can have a snack that is healthy and satisfying. Also, these are "Whole30" approved which is awesome for those who are doing that. (I personally am not, though). -Keeps me full longer than other bars!! Some snack bars just don't cut it for me - I'm still so hungry afterward. But this actually satisfies my hunger (at least for a while - 3 hrs tops) because of its protein content and the content overall. It's not just a bunch of fillers. -Okay so these bars can be a little bit more money-wise the other bars. But they do seem to always have some kind of deal going on on the website! 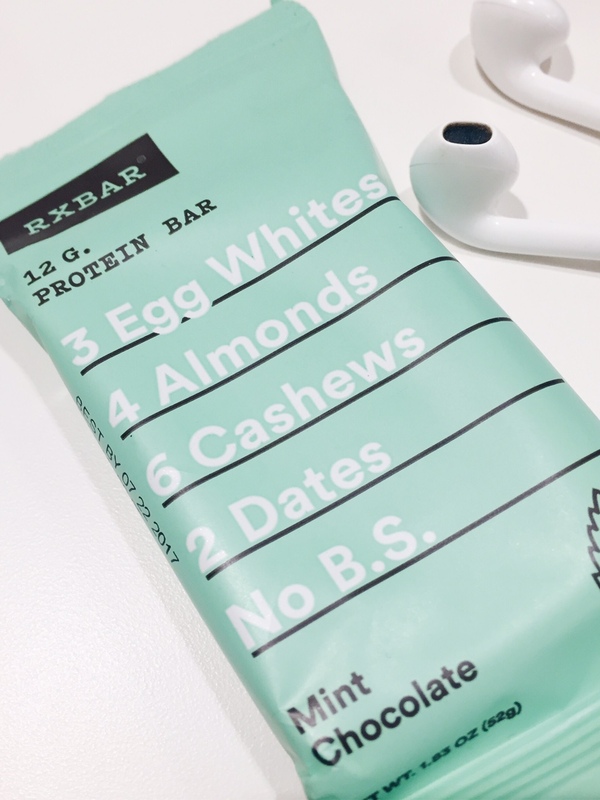 You can also use this link here: http://rxbar.me/eJC_N to get $5 off your first order! It will automatically take off the $5 off at checkout. -Not available in most stores :( i have to order these for the most part (which to me is not a big deal anymore) but having these in stores would be more convenient. On the website, there is a store locator to find what stores do carry it near your area! Who else has tried RXBARS, and what do you think about them? Also if you have other favorite snack bars let me know down below!